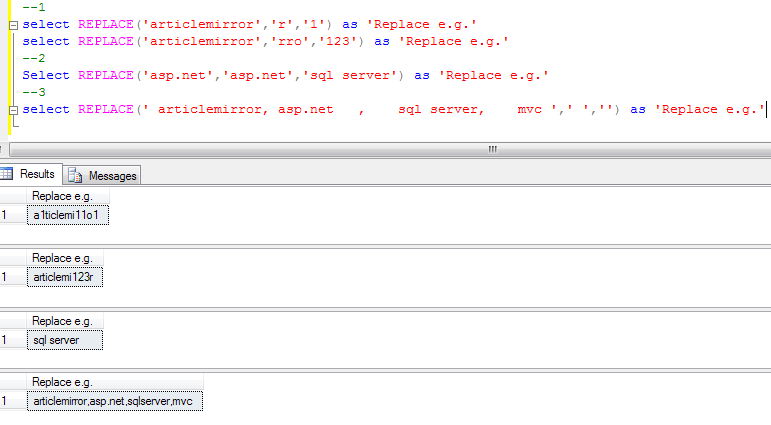 In this article I am going to explain sql server REPLACE function. In previous article I have explained sql server TRIM function, sql server reversefunction, how to create chart using Google chart API in MVC and how to createmultiselect dropdown with checkbox using Bootstrap multiselect Jquery plugin. Replace function is used to replace string with another string. It can be a single or multiple characters. v You can also use replace to remove the blank spaces from a column.